Levitation (from Latin levitas "lightness") is the process by which an object is suspended by a physical force against gravity, in a stable position without solid physical contact. 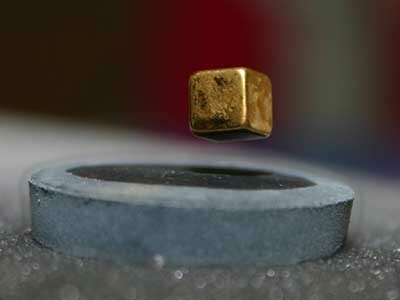 A number of different techniques have been developed to levitate matter, including the aerodynamic, magnetic, acoustic, electromagnetic, electrostatic, gas film, and optical levitation methods. For levitation on planet Earth, first, a force is required directed vertically upwards and equal to the gravitational force, second, for any small displacement of the levitating object, a returning force should appear to stabilize it. The stable levitation can be naturally achieved by, for example, magnetic or aerodynamic forces. Levitation techniques are useful tools in physics research. For example, levitation methods are useful for high-temperature melt property studies because they eliminate the problem of reaction with containers and allow deep undercooling of melts. The containerless conditions may be obtained by opposing gravity with a levitation force, or by allowing an entire experiment to free-fall. 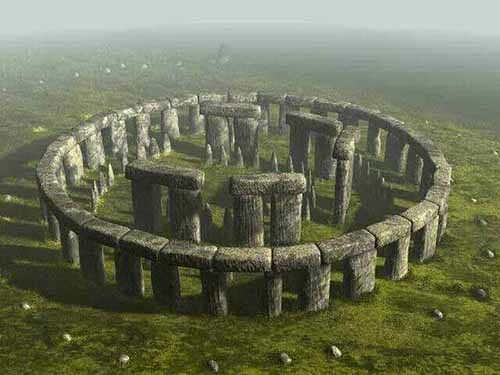 remains a mystery, were built using levitation techniques, such as harmonics. This is often associated with ancient alien theory. Specially designed materials enable objects of different sizes to be levitated and manipulated with light, thanks to new research. A trio of researchers has expanded the science of sound wave levitation by adding more speakers and controlling the focal point of the waves that are created. In so doing, as they describe in their paper they've uploaded to the preprint server arXiv, they have created a means for levitating and moving objects in three dimensional space. Scientists have come up with several ways to levitate objects - using compressed air, or magnetics, are just two examples - most such efforts have left a lot to be desired, however, when the goal has been clean (no noise, simple ways to move an object, etc.) levitation. That has led researches to investigate using ultrasonic waves. Up till now, researchers have been able to use the energy of sound waves to push an object from a surface up into the air, and then to hold it there. Because the object isn't moved in any other direction, this type of levitation is considered two dimensional. In this new effort, the research team has taken the idea further by adding more speakers and a control mechanism that allows for moving the focal point of the sound waves generated. Objects are captured in the focal point and are then moved around by causing the focal point to be moved. Scientists have now levitated small live animals using sounds that are, well, uplifting. In the past, researchers at Northwestern Polytechnical University in Xi'an, China, used ultrasound fields to successfully levitate globs of the heaviest solid and liquid - iridium and mercury, respectively. The aim of their work is to learn how to manufacture everything from pharmaceuticals to alloys without the aid of containers. At times compounds are too corrosive for containers to hold, or they react with containers in other undesirable ways. by a luminous glow around the body. been recorded in Christianity and Islam. Among the first was Simon Magus in the first century. Throughout history the determining factor for judging whether the practice of levitation is caused by good or evil influenced seems to depend on the one doing the levitating. Simon Magus was judged evil while Saint Teresa was said to do it in states of rapture. 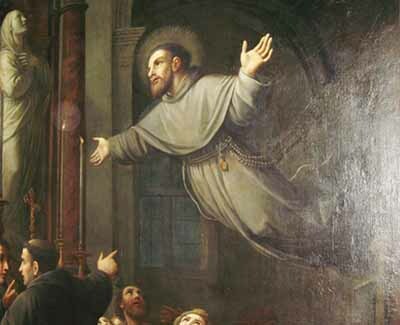 During the Middle Ages and Renaissance levitation was thought to be a manifestation of evil. It was said to be an unusual phenomena generated by witchcraft, fairies, ghosts, or demons. 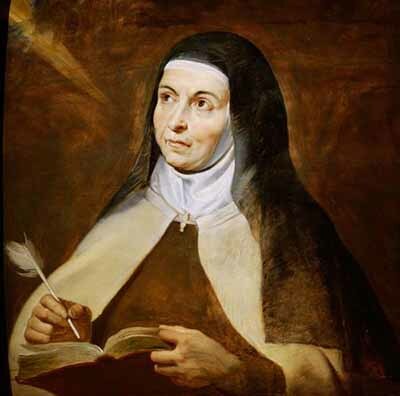 Saint Teresa of Avila was a prominent Spanish mystic, Roman Catholic saint, Carmelite nun, an author of the Counter Reformation and theologian of contemplative life through mental prayer.She told of experiencing it during states of rapture. One eyewitness, Sister Anne of the Incarnation, said Saint Teresa levitated a foot and a half off the ground for about a half hour. Saint Teresa wrote of one of her experiences: "It seemed to me, when I tried to make some resistance, as if a great force beneath my feet lifted me up. I know of nothing with which to compare it; but it was much more violent than other spiritual visitations, and I was therefore as one ground to pieces." (Evelyn Underhill "Mysticism," 1955) Saint Teresa observed these levitations frightened her but there was nothing she could do to control them. She did not become unconscious, but saw herself being lifted up. 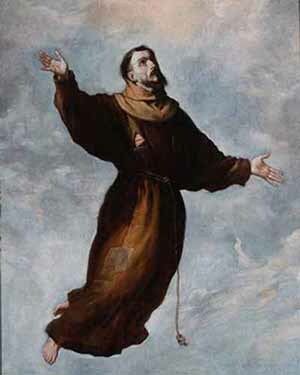 Other incidents reported among the Roman Catholic saints include the incident of Joseph of Cupertino (1603-1663), the most famous, who is said to have often levitated through the air. It is reported he often gave a little shriek just before levitating, and on one occasion levitated for as long as two hours. 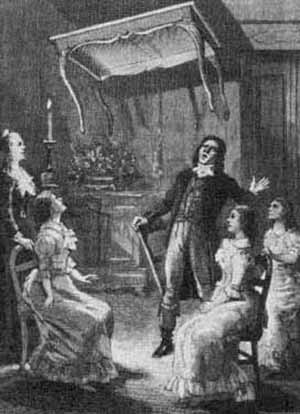 Levitation is still still associated with cases of demonic possession. Many times beds, tables, chairs and other objects have been witnessed flying up into the air apparently by themselves. 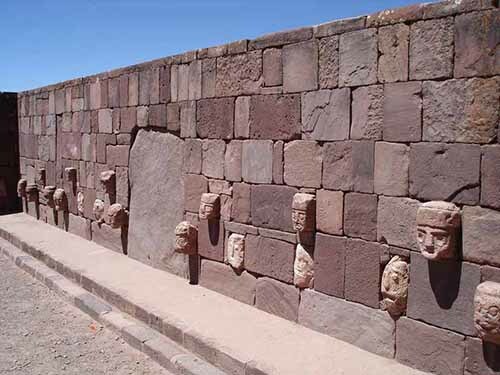 They frequently aimed themselves at the exorcist or his assistants. In 1906 Clara Germana Cele, a sixteen year-old school girl from South Africa, was said to be demonic possessed. She raised up five feet in the air, sometimes vertically and sometimes horizontally. When sprinkled with holy water she came out of these states of possession. This was taken as proof of demonic possession. Likewise, incidents of poltergeists and haunting often involve the levitation of objects. Incidents of levitation also have been reported in the religions of Hinduism and Buddhism. Milarepa, the great thirteenth century yogi of Tibet, is said to have possessed many occult powers such as the ability to walk, rest and sleep during levitating. 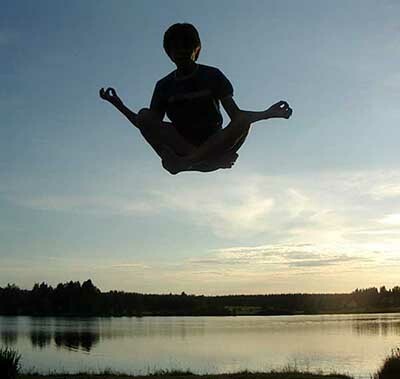 The technique of "yogic flying" which consists of low hops while seated in the lotus meditating position has been achieved by advanced practitioners of Transcendental Meditation (TM). This has received worldwide publicity. The technique is claimed to be accomplished by maximizing coherence (orderliness) in brain-wave activity, which enables the brain to tap into the "unified field" of cosmic energy. However, skeptic say yogic flying is accomplished through muscular action. Levitation in many of these incidents has to do with a phenomenon of psychokinesis (PK) in which objects, people, and animals are lifted into the air without any visibly physical means and float or fly about. The phenomenon has been said to have occurred in mediumship, shamanism, trances, mystical rapture, and demonic possession. 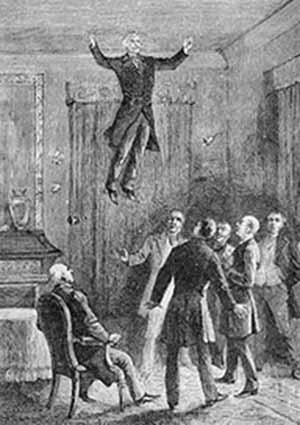 Some cases of levitation appear to be spontaneous, while spiritual or magical adepts are said to be able to control it consciously. The duration of the phenomenon may last from a few minutes to hours. Generally it requires a great amount of concentration or being in a state of trance. 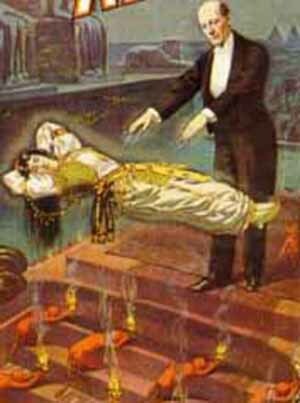 Physical mediums who have been touched during levitation usually fall back to a surface. Daniel Douglas Home was a Scottish physical medium with the reported ability to levitate to a variety of heights, speak with the dead, and to produce rapping and knocks in houses at will. In 1868 he was witnessed levitating out of a third-story window, and he floated back into the building through another window. When levitating Home was not always in a trance, but conscious and later described his feelings during the experiences. 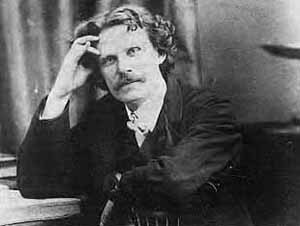 Once he described "an electrical fulness (sic)" sensation in his feet. His arms became rigid and were drawn over his head, as though he was grasping an unseen power which was lifting him. He also levitated furniture and other objects. The Catholic Church excommunicated Home as a sorcerer. Although he was never discovered to be a fraud like other mediums who used wires and other contraptions to levitate objects. Italian medium Amedee Zuccarini was photographed levitating with his feet twenty feet off of a table.